We do all sorts of land loans for your bridge financing. We look at land loans nationwide. Here are some brief descriptions of the land loan programs we have. First your have to decide what you would use the loan for. Whether it is a purchase, refinance or cash-out for land we can help. This is for when you need to get land for a possible future development. Whether it be for a full-time commercial farm or a part-time hobby farm. Here are some of the terms. Available regardless of stage of development. Raw land, Commercial un-entitled land, entitled land, PUD and mixed use are accepted. Here are some of the terms. For developing multiple single family residences or purchasing land to develop into multiple residences. Some examples of properties would be a residential subdivision, raw land, un-entitled land, entitled land, PUD, mixed use developments, vacant land, paper lots and tax increment financing (TIFS). Here are some of the terms. For many different types of properties. 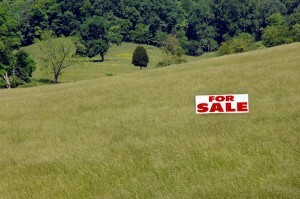 Some examples are raw land, un-entitled land, entitled land, PUD, mixed use and vacant land. Most important thing we need to know is what the exit strategy is. Minimum loan amount is $500,000 and maximum loan amount is $20,000,000. Contact us to see if we can help you with your land loan.